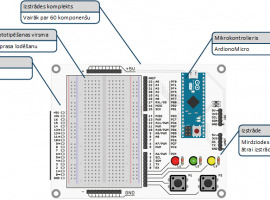 Prototyping kit is designed for pupils and other enthusiasts looking for a way to learn fundamentals of electronics and programming. 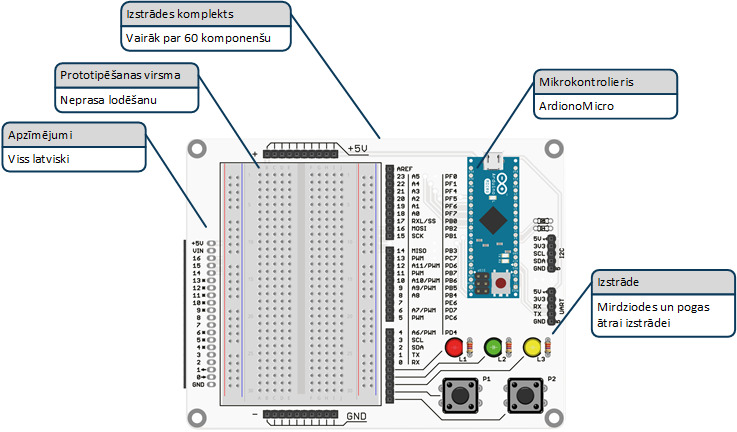 The kit consists of prototyping board, which is based on solder–free bredboard allowing to reuse the parts, part set necessary to accomplish exercises and well known Arduino Micro compatible microcontroller, which allows to use the broad experience of the Arduino community. The kit is designed using accumulated teaching experience of Robotics Club of Riga Technical University leading the robotics community in Latvia since 2008. 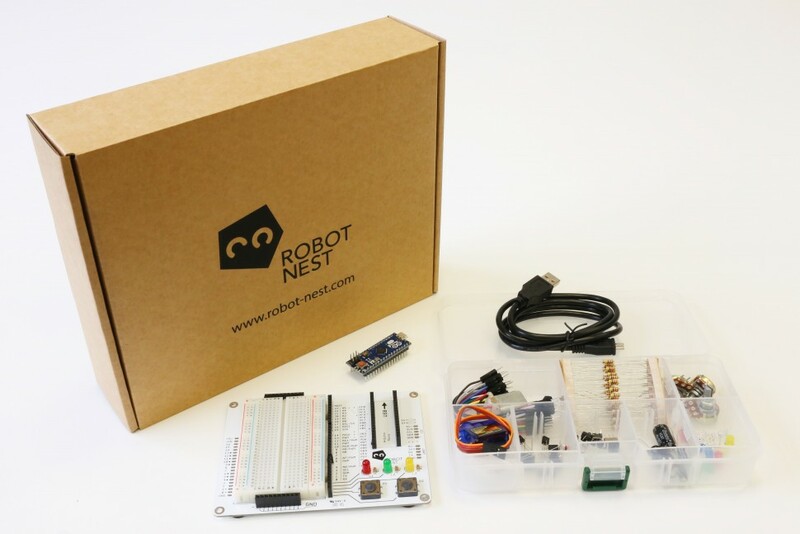 Therefore the kit suits well for both, beginners and experienced enthusiasts. - Designed using the best experience and know-how of RTU Robotics club since 2008. - Solder-free bredboard allowing to reuse the parts. - More than 60 different electronics part for exercises starting from simple electric circuit up to motor control. - More than 35 exercises with different levels of difficulty to learn fundamentals of electronics and programming. 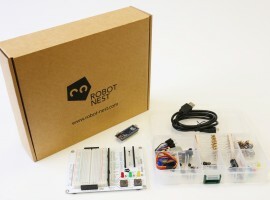 - All the necessary communication cables and construction parts necessary for prototyping. - Integrated LEDs and push-buttons to save time for the first prototypes. Electronics parts > 60 pcs. Box for parts High quality plastics.